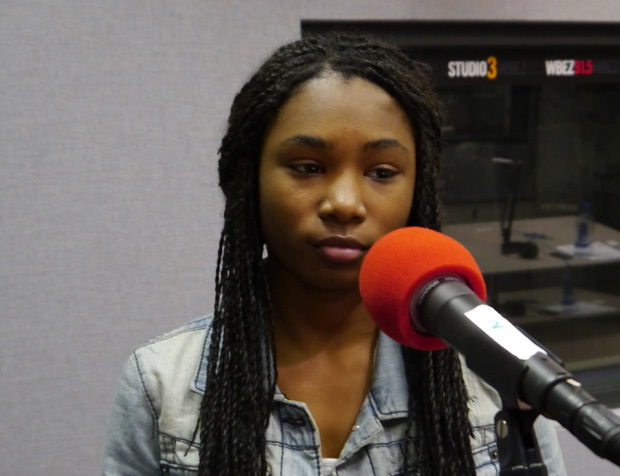 Poet Mariah Starks, 15, is a freshman at Simeon Career Academy and participated in Louder Than a Bomb for the first time this year. Her piece, "The Outfit" addresses the realities of gun violence in too many of our communities. The largest of its kind in the world, Louder Than A Bomb (LTAB) is Chicago’s rapidly-growing teen poetry festival, taking place February 16 - March 9, 2013, at various venues around Chicago. Aiming to bring teens together across racial, gang, and socio-economic lines, LTAB is a friendly competition that emphasizes self-expression and community via poetry, oral story-telling, and hip-hop spoken word. Click here to hear all the other 2013 recordings, alongside over 200 Louder Than a Bomb Finalist pieces recorded by Chicago Public Media (WBEZ-Chicago) over the past nine years.